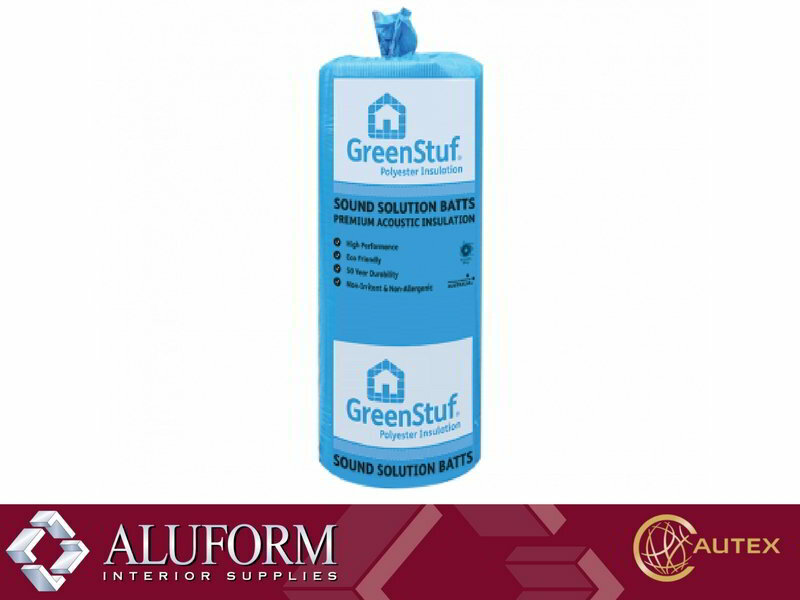 GreenStuf Sound Solution is designed for the acoustic insulation of timber framed buildings. The addition of Sound Solution in a standard timber-framed wall will reduce loud sounds on one side to a slight murmur on the other. It reduces airborne sound, impact noise and noise transmission by controlling resonating noise inside the construction cavity. Sound Solution can be used in a mid-floor cavity, to significantly reduce noise between upstairs and downstairs.